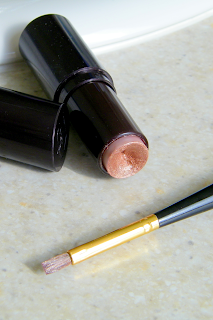 The bottomless tube of lipstick. Almost. Not only does a lipstick brush apply your lipstick in more flattering strokes, it makes your lipstick supply last longer. That means saving $4-$15 instead of replacing your favorite lipstick this year. (Maybe even into next year!) And guess what? You also spend less time in the store hovering over little plastic tubes trying to find a replacement lipstick! Double-yey! I hope you like that color, girl, because you'll be wearing it a long, long time.